However, we lived in three different cities separated from one another by 2- to 4-hour drives, and we came together with very different interests in the group. Some members were teachers in nursing programs, several were students, and others were practicing nurses. Some were interested in learning skills related to doing research, whereas others were relatively seasoned researchers. Because of these differences, we had the risk of simply re-creating a classroom “culture” with some members as experts and others as students—a situation we did not want to create. Instead, we wanted to establish a community in which we interacted as equals, while at the same time respecting one another’s talents and sharing “teaching and learning” mutually. We will be known as the “Friendship Collective.” We are nurses who bring together skills of research and writing. Some of us are teachers and others are students. We are a relatively closed group, because our work is focused on a specific task that is time-limited and that involves specific tasks. We will consider the possibility of new members as the demands of the project grow and as our circumstances change. The purpose of the Friendship Collective is to study the experience of female friendship among nurses and then to publish the results of our investigation. WHAT ARE OUR SHARED BELIEFS AND VALUES? We believe that friendships among women are fundamental to women’s survival and growth. We believe that women’s friendships provide the foundation for wom- en’s political presence in the world. We value all forms of friendship between women. We value our own friendships among one another and are committed to living our friendships with deliberate awareness, examining and creating our experience as we go. WHAT INDIVIDUAL DIFFERENCES DO WE NEED TO CONSIDER? We will keep at a minimum any financial expenses needed from any individual in relation to our work and will openly negotiate these demands as they occur. We will be conscious of helping one another maintain a balance between the demands of our group work and our personal lives. We will maintain careful time limits for our gatherings that each member of the group mutually agreed upon at the start of each gathering. WHAT DO WE EXPECT OF ONE ANOTHER? We will meet once a week until the initial stage of the project is After that we will all meet face-to-face at least four times a year. We will take time to relax and play. We are committed to using Peace and Power processes, including building value-based decisions and learning to provide constructive, growth-enhancing criticism for one another. We will address conflicts, feelings, and issues openly as soon as they reach our awareness, with the understanding that early awareness may not be perfect but deserves expression. We welcome any individual assuming specific tasks that need to be done that grow out of our mutually agreed direction, and support her initiative in doing We expect that each of us will keep every other member of the group fully informed about the progress of her activities related to the group’s work. WHAT MESSAGE DO WE WISH TO CONVEY TO OTHERS? We will work to form a message that is consistent with what we believe about female friendship and about feminist praxis. All public presentations will reflect our cooperative style of working, and will reflect our commitment to share skills, leadership, and responsibilities. We will carefully and constructively criticize each public presentation or written document to examine the message we think we actually con- veyed, and to re-form our own commitments and our presentation style as needed to more closely convey the message that we intend. HOW WILL WE PROTECT OUR GROUP’S INTEGRITY? All requests of our group will be discussed in a gathering with all of us present, and all decisions made regarding outside demands will be made by consensus of the group. Decisions about outside requests will be informed by a primary concern for the protection of each of us individually, our primary commitment to the work of our group, and our readiness to respond to the request. We will maintain our commitment to feminist praxis and to feminist methods in our work, and will carefully examine all situations that might result in an erosion of this commitment. We will seek external funding for our work, but will examine the demands placed on us in relation to accepting funding to ensure that whatever demands these are, they do not compromise our primary principles. Chinn, P. L. (2013). 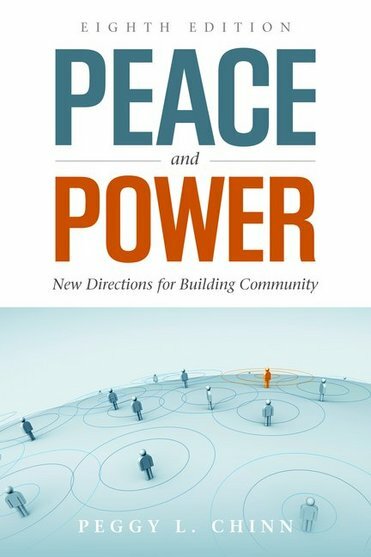 Peace & Power: New Directions for Building Community (8th ed.). Burlington, MA: Jones and Bartlett Learning. Peace & Power on Facebook! Refrain from harmful flaming or name-calling. 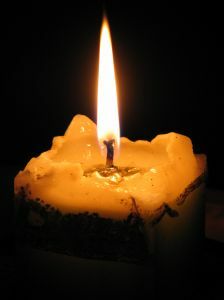 Negative feelings and thoughts are welcome as long as they are expressed without harming others. Peace & Power Blog at WordPress.com.